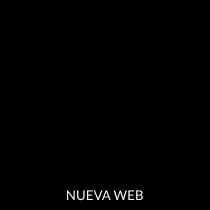 Maytoni Chandeliers. German modern design lights. Flush light from the collection Astero with modern style. It is a good option if you want to decorate your home in contemporary interior, and suitable for living rooms and dining rooms. It has a glass lampshade and the structure made of metal in chrome finish. Dimensions:Height: 10 cm. Diameter: 30 cm. Flush light from the Collection Belinda (four lights) with Transparent glass beads, metal main structure and lights covered by metal nets with glass decorations. Perfect for stays of a Modern Style.Dimensions:Height 18 cm. Length 58 cm. Width 58 cm. Flush light from the Collection Frigate rustic style, rudder-shaped wooden structure finished in dark brown or light brown (two models to choose from) and combined with frosted glass. 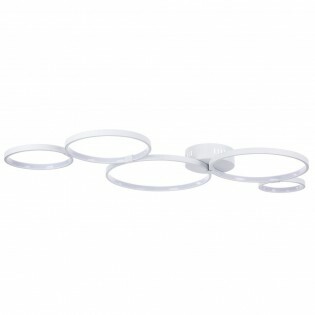 Perfect for lighting rooms such as cellar, dining room or living room. Dimensions:Height 17,3 cm. Diameter 52,6 cm. Ceiling flush light rounded shape, lampshade glass and frame designed with handmade polyresin shapes. 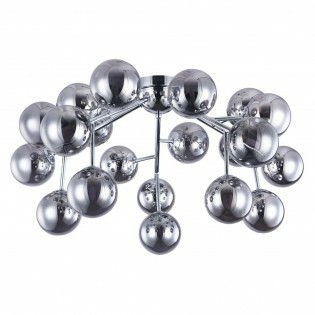 A perfect design to illuminate your bedroom or classic style living room. Dimensions:Height 8,3 cm. Diameter 37 cm. Flush light from the Collection Lantana with glass lampshade and handmade polyresin shapes decorating the structure. A perfect design to give your living room, dining room or bedroom a classic style.Dimensions:Height 9,5 cm. Diameter 55,5 cm. Flush light Lea classic style. Design made of metal frames and decorated with floral motifs. lampshade with a "white gold" finish that adds elegance to the lamp. Its design is perfect for Lighting bedrooms, dining rooms, living rooms etc. Dimensions:Height: 23 cm. Diameter: 45 cm. 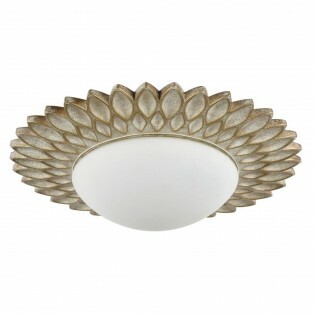 Flush light Klee with wavy design, made of metal and finished in chrome or white. Two models to choose from. Lighting LED integrated 30 W, high light intensity and minimum power consumption. Perfect for giving a contemporary and modern touch to your home: in dining rooms, living rooms, bedrooms... Dimensions:Height 15 cm. Diameter 54 cm. Ceiling flush light Klee with lighting LED of 43 W and a warm light temperature of 3000 K. Metal body available in two finishes: white or chrome. Spiral-shaped design. SIts bold and modern style is ideal for dining rooms, living rooms, bedrooms...Dimensions:Height 15 cm. Diameter 56 cm. 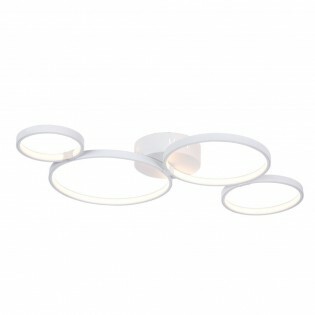 Flush light Olympia with four metal rings of different sizes that give it a touch of dynamism and modernity. It has Lighting LED 30W, warm light, minimal light consumption technology. Available in two finishes: chrome or white. Perfect for living rooms, bedrooms...Dimensions:Height 7 cm. Length 120 cm. Width 60 cm. Ceiling flush light Olympia with a distinctive design made up of five metal rings and integrated with Lighting LED of 45 W. Available in chrome or white finish. A dazzling style perfect for adding a touch of modernity to your home: in dining rooms, living rooms, bedrooms...Dimensions:Height 7 cm. Length 143 cm. Width 68 cm. Flush light Letizia with handmade ceramic decorative pieces. Perfect design to illuminate the most spacious rooms of the house with a classic style: living rooms, dining rooms... It features a large size design by large decorated with translucent curtains and metal frame painted in bronze. Dimensions:Height: 31 cm. Diameter: 54 cm. 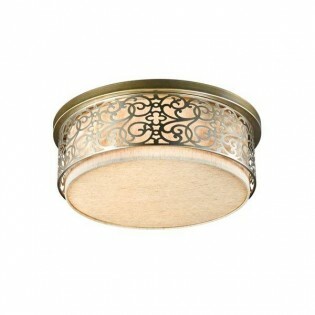 Flush light Mantissa perfect for lighting classic decorations. 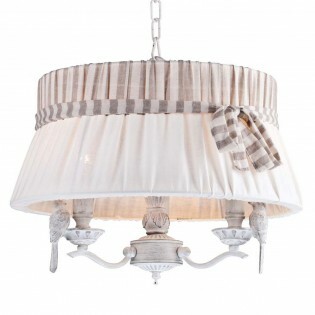 The lampshade is made of white organza and is decorated with a light golden metal frame. It incorporates a decorative translucent glass element in the base. Dimensions:Height 18 cm. Diameter 49 cm. Flush light from the Collection Tamina with rounded design, decorative details handmade of polyresin and glass lampshade. You can place it as Flush light on the ceiling or as Wall light on the wall. 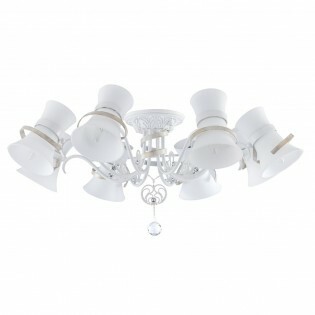 Ideal for illuminating rooms such as the dining room, living room.... decorated with classic style. Dimensions:Height 10 cm Width 42,2 cm. Flush light from the CollectionTamina with rounded design, handmade polyresin details and glass lampshade. You can use it as a Flush light or Wall light. 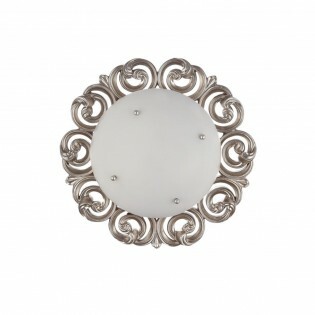 Ideal for illuminating classic style rooms such as the dining room or bedroom. Dimensions:Height 11,5 cm. Diameter 55 cm. Flush light Venera with a decorative metal structure in brown and lampshade colour with a beige Colour textile design. It also has the possibility of regulating the Height. Its rustic style is ideal for decorating rooms of the house such as the dining room, living room, bedroom... Dimensions:Height 24,3 cm. Diameter 50 cm. 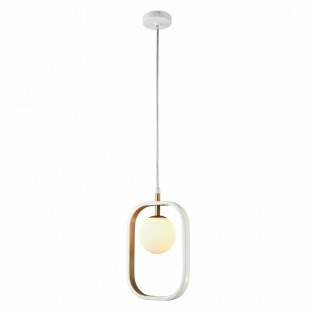 Flush light from the Collection Venera. Beautiful decorative structure in gold color of original design and lampshade of textile manufacture in beige color. The rustic style of this Lamp is Perfect for lighting home rooms such as the dining room, living room, bedroom... Dimensions:Height: 24,3 cm. Diameter: 50 cm. 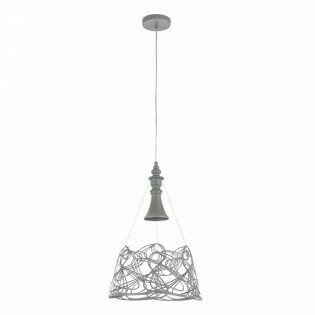 Ceiling lamp Elva made of metal with a white finish. Classic aesthetics but with a very characteristic design, will become one of the most striking decorative elements of your room. It has a small point of light and a very original decorative structure. Dimensions: Height 50 - 120 cm. Diameter 35 cm. Ceiling light from the Collection Flash of a Modern Style with spherical decorative structure in white and cylindrical inner lampshade made of Acrylic. Ideal for lighting all types of rooms such as dining room, living room, etc.Dimensions:Height 23 cm. Diameter 34.5 cm. Ceiling lamp Lucky with comfortable height adjustment. You can use it as a flush light or a ceiling lamp. Its classic style will fill your stay with elegance. Formed by seven points of light with beautiful lampshades. Ideal to lighht up bedrooms, living rooms or dining rooms.Dimensions: Height 63.5 - 118.5 cm. Diameter 87 cm. 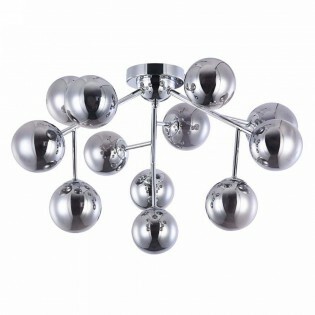 Ceiling light with six lights Adelia. It is made of metal with lampshades covered with white fabric. It incorporates decorative elements made of ceramic. in is an Lamp classic suitable for illuminating home rooms: living room, dining room, living room... Dimensions:Height: 61 cm. Height with chain: 104 cm. Diameter: 75 cm. Ceiling light of a Modern Style, collection Arcilla. Modern design with elongated shape Available in two finishes: brown or white. lampshade made in a handmade way in ceramics. It is the right option to give your dining room, living room, living room....a modern and renewed air. Dimensions:Height: 130 cm. Diameter: 11,5 cm. Ceiling light from the Collection Assol with high quality glass pendants. Its main structure is made of metal with white and black fabric coverings. Its modern and modern style is ideal for lighting and decorating rooms such as: the dining room, living room...Dimensions:Height: 100 cm. Diameter: 17 cm. 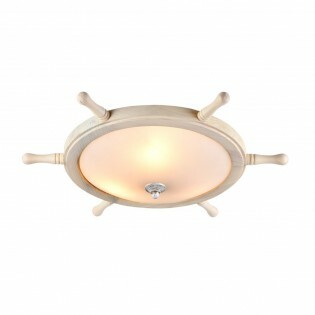 Ceiling light Avola with metal structure in white and gold or white and silver. Two options to choose from. 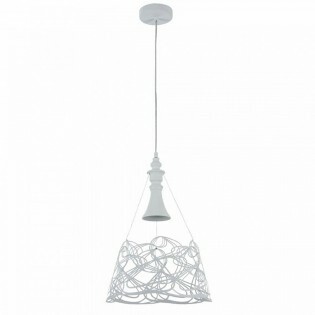 The lampshade is made of white glass for a beautiful light effect. Ideal for living rooms, dining rooms, bedrooms...Dimensions:Height 25 cm. Length 17.8 cm. Width 2.5 cm. Ceiling light Avola cLarge metal base available in two finish options: white and silver or white and gold. It has six points of light in spherical lampshades made of white glass to create a warm and welcoming light effect.Dimensions:Height 20.1 cm. Length 65 cm. Width 65 cm. 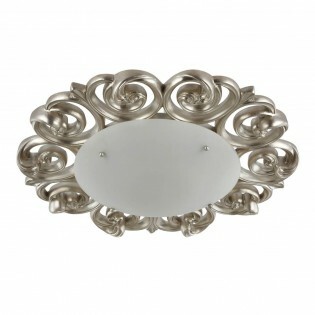 Ceiling light with Spectacular design from the Collection Baroque. It consists of six Lighting points, with lampshades made of glass, metal structure decorated with Pendant Light glass and beautiful handmade illustrations at the base. Its classic style is perfect for your living room or dining room. Dimensions:Height 33 cm. Diameter 76 cm. Ceiling light classic with eight points of glass Lighting and Pendant Light decorating the structure. The base has beautiful handmade metal illustrations and the lampshades are made of glass. Ideal for giving a general lighting to your dining room or living room.Dimensions:Height 34 cm. Diameter 90 cm. from the Collection of lamps for ceiling Belinda, this design is made of metal and has four lampshades made of glass designed in cylindrical form with glass decorations inside. Ideal for lighting modern rooms. Dimensions:Height 15 - 139 cm. Length 98 cm. Width 12 cm. Bellevue modern style ceiling light . It has a metal screen with white interior and exterior available in four shades to fit any room in your home. It is perfect for rooms such as living rooms, dining rooms and bedrooms, as well as fit in bars and restaurants. Dimensions: Height 201,2 cm. Diameter 35 cm. 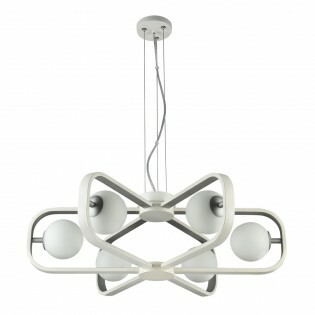 Bergamo modern-style ceiling light . The screen is made of PVC covered with white fabric and with the lower part topped by a glass base. It has three lighting modes , only overhead, main and joint lighting. Ideal to place in living rooms, dining rooms and bedrooms. Dimensions: Height 86,5-150 cm. Diameter 55 cm.